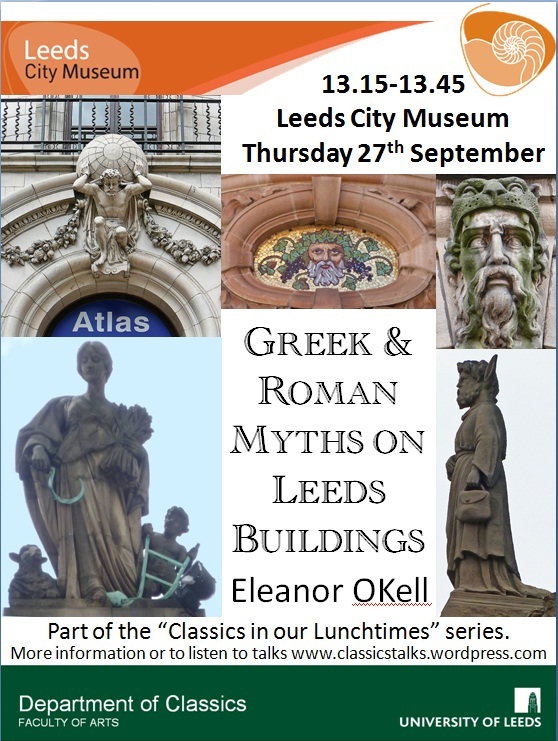 Eleanor OKell “Greek and Roman myths on Leeds Buildings” will reveal some of the stories told through architectural sculpture in Leeds, asking what these stories communicated and why they were considered appropriate decoration for public buildings. 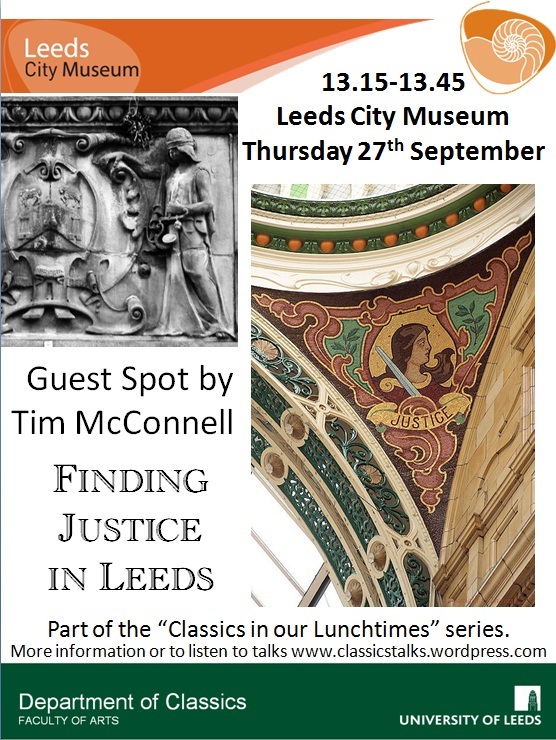 Tim McConnell (Undergraduate Research and Leadership Scholar) has a guest spot to talk about his research on the personification of Justice in Leeds. Sehr neu.Danke. Das wollte ich finden. Wertvolle Mühe. Empfehlenswert und reich an Gedanken. Kunstman.